Clever new technology gives busy families a wealth of cooking options In November’s The English Home magazine, CDA’s RV1001 stood out as a hot contender in the battle for the range cooker top spot. 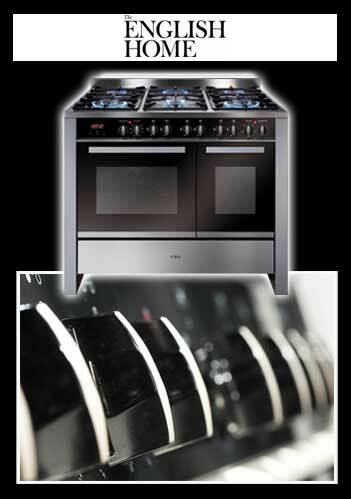 “CDA’s RV1001 100cm wide range cooker has a six burner gas hob and wok burner. The main electric oven has a 60 litre capacity and eight functions. The 35 litre second oven has four” As well as the stylish stainless steel and black finish, this range cooker comes with a thoughtfully designed storage compartment, cast iron pan supports, a touch control timer and a rotisserie. For full details, click here.